Ah, Brad Pitt. You son of a gun. With multiple Academy Awards, a Golden Globe Award, a mansion in New Orleans, Angelina Jolie as your be wedded and six beautiful children (3 of whom were adopted internationally), you have achieved a life that most people only dream of. But hey, this guy deserves it. All fan-girling aside, Brad Pitt is ‘real-deal’ Hollywood talent and has worked his way to the top. Hailing from the small town of Shawnee, Oklahoma, he is now considered one of the most influential and powerful people in the American entertainment industry. Not just that, but he’s a big time humanitarian and international diplomat, both in political and social domains. Below are a few of his biggest successes and best performances on the big screen. If you haven’t seen these amazing movies yet, we highly recommend you check them out! And if you are interested in keeping up to date with any and all Brad news, you should follow our friend Josan’s amazing Brad Pitt fansite. 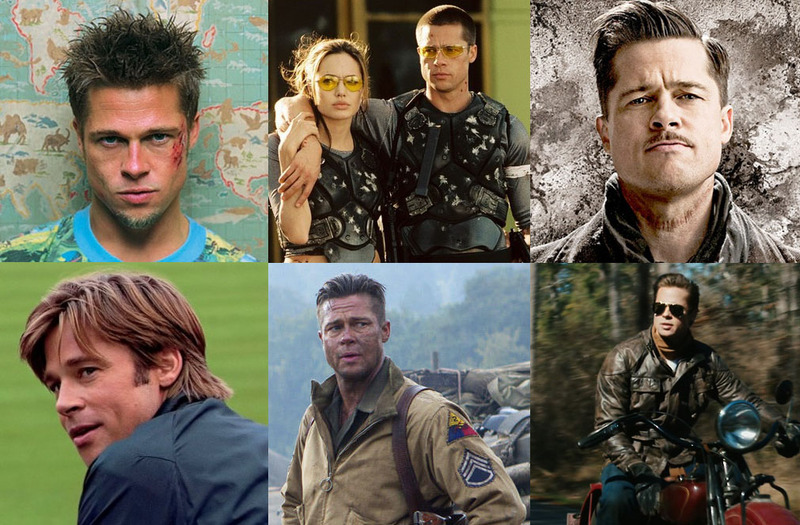 Brad can pretty much pull off any character, but his classic style and good looks are a part of his essence that stays with him even after he leaves the big screen. In particular, he is a huge fan of some sporty Carrera sunglasses and classic Ray-Ban® Aviator™ sunglasses. 5 reasons why non-prescription glasses should make a comeback.